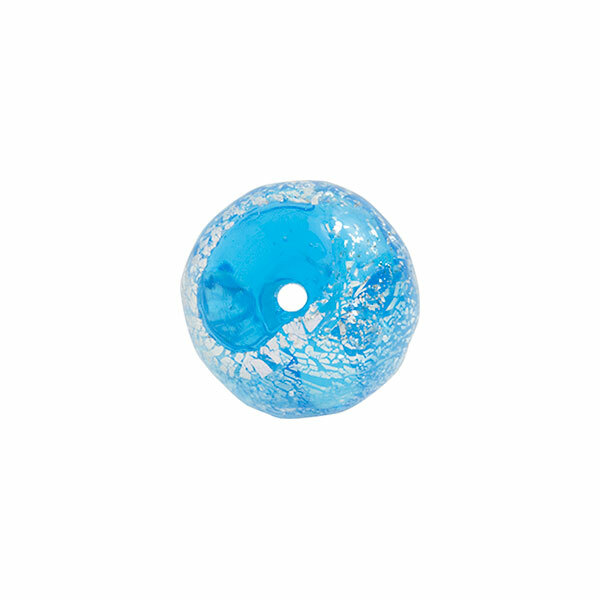 12mm aqua Murano glass bead with a silver sparkle effect from the addition of dichroic glass. 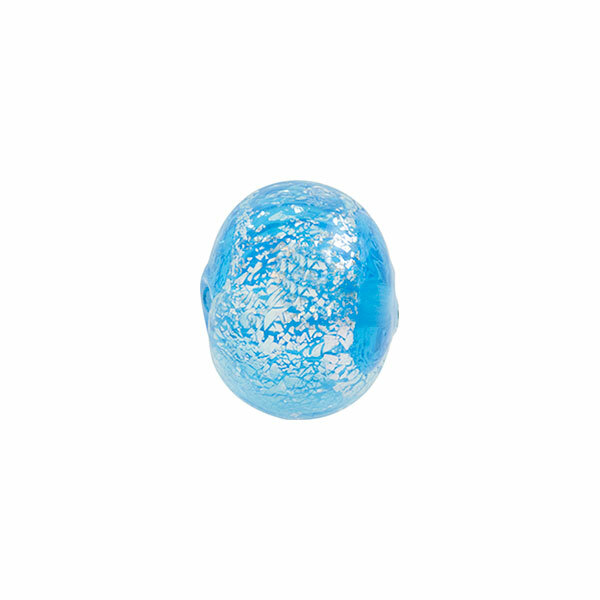 The dichroic adds such sparkle and depth to the bead which is very difficult for photography, but are a great way to upscale your Murano Glass Jewelry. The sizing on these may vary slightly as a result of the production process. The exact placement and coverage of the dichroic also varies.